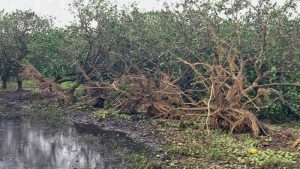 U.S. Secretary of Agriculture Sonny Perdue announced the U.S. Department of Agriculture (USDA) will make disaster payments of up to $2.36 billion, as provided by Congress, to help America’s farmers and ranchers recover from hurricanes and wildfires. The funds are available as part of the new 2017 Wildfires and Hurricanes Indemnity Program (2017 WHIP). Sign-up for the new program, authorized by the Bipartisan Budget Act of 2018, will begin no later than July 16. 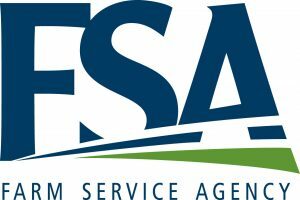 USDA’s Farm Service Agency (FSA) will make these disaster payments to agricultural producers to offset losses from hurricanes Harvey, Irma and Maria and devastating wildfires. The 2017 calendar year was a historic year for natural disasters, and this investment is part of a broader suite of programs that USDA is delivering to rural America to aid recovery. In total, the Act provided more than $3 billion in disaster relief by creating new programs, and expediting or enhancing payments for producers. WHIP disaster payments are being issued in addition to payments through traditional programs, some of which obtained increased funding or had amendments made by the Act to make the programs more responsive, including the Emergency Conservation Program, Emergency Watershed Protection Program, Emergency Assistance for Livestock, Honeybees and Farm-raised Fish Program, Tree Assistance Program and Livestock Indemnity Program. During 2017, the United States experienced a historic year of weather-related disasters, with an economic impact totaling more than $300 billion. In total, the United States was impacted by 16 separate billion-dollar disaster events including: three tropical cyclones, eight severe storms, two inland floods, a crop freeze, drought and wildfire. More than 25 million people – almost eight percent of the population – were affected by major disasters. FSA will distribute more information on how producers can file claims for WHIP disaster payments at a later date. For questions on how to establish farm records to be prepared when WHIP disaster signup begins, or to learn about other disaster assistance programs, producers are asked to contact their local USDA service center.